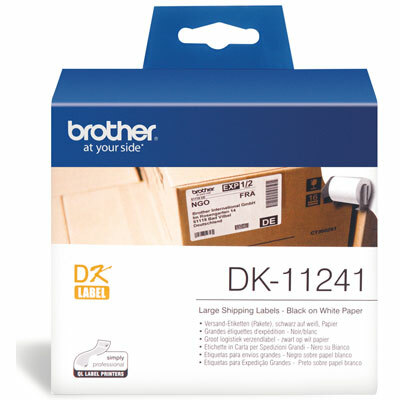 Large White Shipping Labels – 102mm x 152mm, 200 labels per roll. Adelaide Cartridge Centre can deliver direct to your door with our fast & reliable delivery service, saving you time & money. Order online or call our friendly customer service on 1300 780 810 for assistance or general enquiries. All orders received by 3.00 pm (along with cleared payments) will be despatched the same day. All goods are generally supplied as one shipment. Where this is not the case, you will be contacted to seek your acceptance of a split shipment. Prices do not include delivery unless otherwise stated. We deliver using Courier services and all shipping charges include GST. PO Box / Apartment deliveries are not included in our standard delivery fees. Please call our Customer Service on 1300 780 810 for a special delivery quote. Delivery times as per our delivery schedules are to be used as a general guide only, but are based on current delivery service levels. Every effort is made to get your order to you within our stated times (subject to your payment method), however we do not guarantee delivery times as circumstances can arise on rare occasions which prevent these times being met. For more information please see our Shipping & Delivery page. Please contact our Customer Service Staff on 1300 780 810 or Contact Us by email if you require any further assistance. Shop with confidence, our site is protected by Let’s Encrypt SSL. Secure Payments by PayPal. Disclaimer: All logos, trademarks, brands and some part numbers appearing on this web site are the property of their respective owners, and their usage is for reference and general information only.